The screenshot shows the expanded stroke on the left, and the original stroke on the right. I think this may be related to the divide command or at least it's happening as well when invoking the divide command. I suppose I can ask this here. 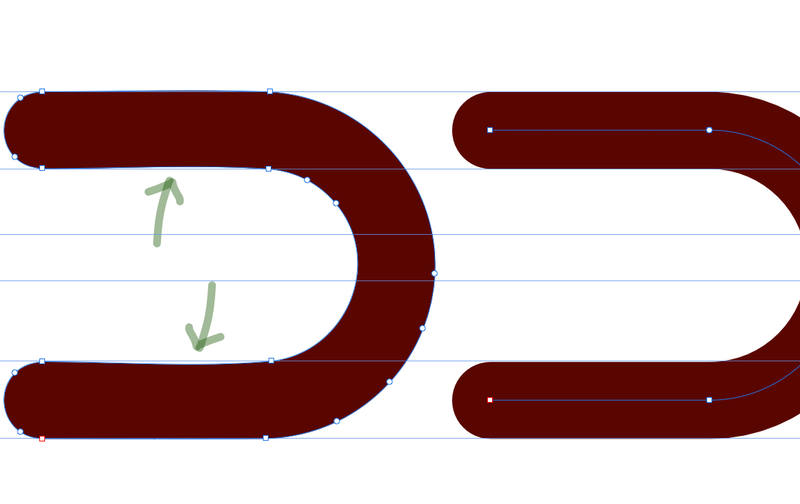 When selecting a high value of line width on relative small objects... something like this appear. Strange forms. It's this natural or a little bug? I think Ash mentioned this to me about 2 months ago, but I've not had time to resolve it yet - I need to check the winding direction of the inner path and remove it completely if it was caused by the inner line weight overlapping itself. So, ultimately, you'll probably not see the inner object in this case.